Celiac disease is estimated to occur in 1 to 2% of people worldwide. 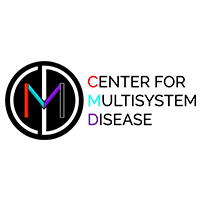 Dr. Schofield at the Center for Multisystem Disease encourages you to seek an evaluation as soon as you notice symptoms because delayed treatment increases your risk of developing complications such as other autoimmune disorders, neurological problems, and even lymphoma. To schedule an exam, call the office in Denver or use the online booking feature. Celiac disease is an autoimmune disorder that affects your small intestine. If you have celiac disease and consume any gluten-containing product, the gluten triggers your immune system to attack the small intestine. This autoimmune response leads to inflammation and damage to your small intestine. As a result, two things happen. First, you don’t absorb enough vital nutrients from the food you eat. The second problem occurs as the protective gastrointestinal barrier that lines the small intestine becomes damaged. When the barrier is breached, inflammation can spread throughout your body. You won’t find one simple list of symptoms for celiac disease because it depends on your age and which part of your body is affected. Your symptoms may vary depending on how much gluten you eat and the amount of damage that exists in your small intestine. Gluten refers to several proteins that are found in wheat, rye, and barley. Currently, the only treatment for celiac disease is to avoid all sources of gluten. This can be tricky because gluten is often found in products that aren’t obviously made from wheat, rye, and barley. Additionally, non-gluten foods can become contaminated with gluten if they’re processed or prepared near gluten-containing flours and products. The Food Allergen Labeling and Consumer Protection Act requires foods and supplements that contain gluten to carry a warning on the label. However, medications aren’t required to carry a gluten warning even though they may have fillers that contain gluten. Additionally, gluten is found in unexpected places like cosmetics, toothpaste, pet foods and even children’s modeling compounds. If you suffer from ongoing gastrointestinal or systemic symptoms, call the Center for Multisystem Disease or book an appointment online.